In my previous post I stated that I thought Zorin was possibly the best and most attractive operating system I have ever used. One of the comments I received was that the screenshots were too small. As I am short of time this week I thought today’s post would be a collection of Zorin screenshots in their full glory. Now in my original post (http://everydaylinuxuser.blogspot.co.uk/2012/07/zorin-6-best-operating-system-i-have.html) about Zorin I might be accused of making Zorin look prettier because my background image is of a picturesque part of Aberdeenshire in Scotland. As you can see from the image above the taskbar is really attractive with enough transparency to show the background image but the right amount of opaqueness to show the time and icons without losing clarity. For those that are interested here is a picture of Zorin 6 with the default wallpaper. Personally I think the wallpaper that comes with Zorin makes it look functional but it isn’t particular attractive. Nothing can beat an image that mother nature conjures up which is why I have the image above as one of my many desktop backgrounds. 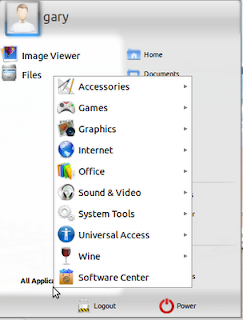 Anyone who thinks LINUX cannot be as professional as Microsoft or Apple operating systems should check out Zorin 6. 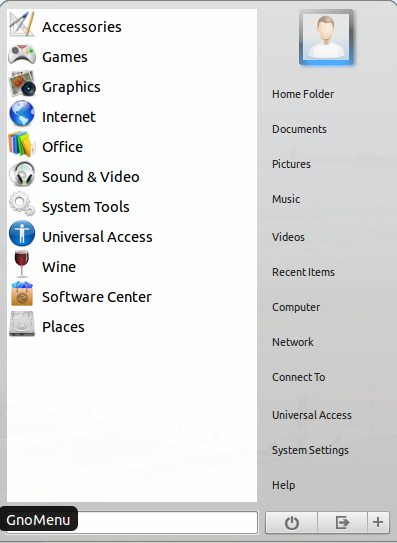 Yes they have taken a copy of the look and feel of Windows and for Mac users there is a Mac style interface but the Zorin development team have emulated the Windows 7 Menu perfectly. I’ve read other blogs that said the search facility is erratic but every time I search for an application or a type of application the correct items appear. The menus are organised logically and the whole system is incredibly easy to use. Performance wise Zorin 6 runs perfectly. 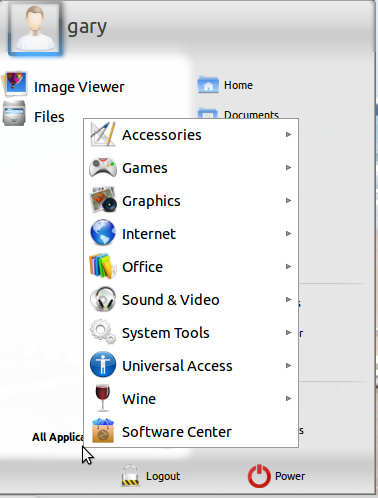 If you are a Windows XP user and you haven’t seen Windows 7 then the above menu might not mean all that much to you. 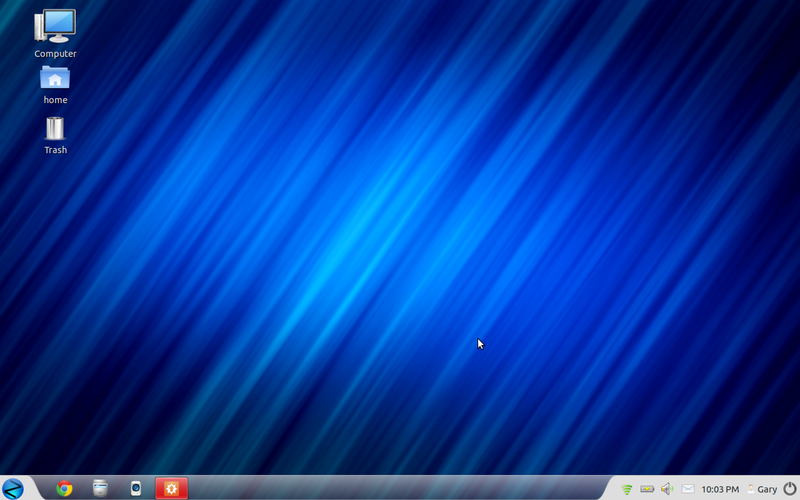 If you are a Windows XP user and you are looking for a new operating system but you aren’t sure whether you want to use Windows Vista, Windows 7 or Windows 8 or you can’t justify the expense then Zorin is perfect for you. You don’t even need to know LINUX to use this system. If you think LINUX is a load of geeks typing into a command line on black backgrounds with green writing Matrix-style then Zorin will show that you couldn’t be further from the truth. There isn’t a terminal window in sight unless of course you really need one. As an XP user you don’t even need to get used to a new menu system. The taskbar is very reminiscent of that used by Microsoft Windows. It has everything you need already displayed. The Z icon is the start button. There are quick launch icons just next to the Z Icon. On the system tray there is an off button the name of the current user, email icon which enables you to show your availability as well as chat, a clock, audio settings, battery bar and wireless icon. It is so easy to connect to the internet. Simply click the wireless icon and choose your wireless connection and if you haven’t done so before enter your security key. Zorin has a host of effects which are supplied using Compiz. 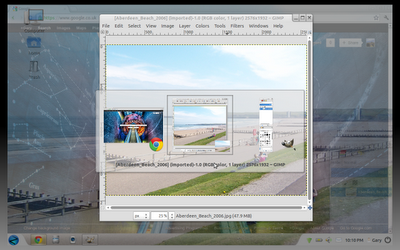 Changing applications is as simple as pressing ALT and TAB and the transparency makes it look very stylish. 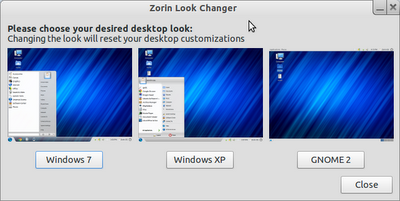 The Zorin look changer makes it possible to choose from Windows 7, XP and Gnome 2. (In the core version). If you choose the ultimate edition (http://zorin-os.com/premium.html) you get an even bigger choice including a MAC look). To get Zorin 6 go to http://zorin-os.com/index.html and click the get it link. The core version is free to download and use but consider the ultimate edition for just 18 euros. (which is a donation, you can obviously donate as much as you think is applicable). For 18 euros you get a physical DVD. You can also choose to just download the ultimate edition which brings the minimum donation down to 10 euros. I am excited by the idea of the Zorin Gaming edition which it says on the website is coming soon. Thanks for reading. Hopefully this has fulfilled the screenshot request from my previous post and also provides the required links for getting Zorin. This is actually the first time I've seen Zorin. I've been an Ubuntu user through and through. When I buy laptops online, I don't bother to make them install an operating system because I do it on my own. I'd probably try this one time. Thanks. Thanks for the reviews Gary. I've been playing around with Linux for some time now, and never really found one that lives up to expectations, until I installed Lubuntu. (Even Mint 13 and 14 have foibles.) I have used various incarnations of Windows but as you said, MS aren't interested after a while and leave older systems open to attack. I will certainly be trying out Zorin after reading your reviews, both on an old 'steam driven' laptop and a more up to date 64 bit desktop. Once again, Thanks. Excellent tutorial! I was just looking for this because I can’t make it work in Windows 7. If you like Zorin 6, then try Zorin 7. The upgrade is worth it. Zorin 6 Lite works on my netbook (Acer Aspire One D255). 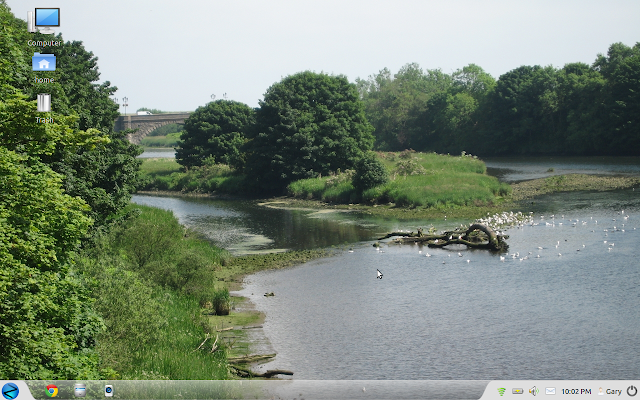 Download the wallpapers from the Lubuntu (or Xubuntu or Fubuntu cant remember) to add to Zorin. The combo is like..WOW!